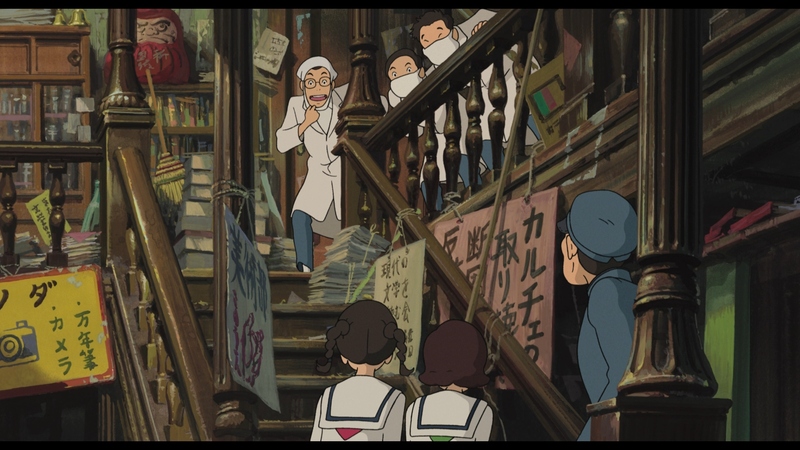 I’m normally an admirer of his reviews, but I must say that it’s a shame that Roger Ebert regarded From Up on Poppy Hill as a disappointment, especially as he was such a notable fan of Studio Ghibli’s, and this would, sadly, be the last film of theirs that he would ever review. 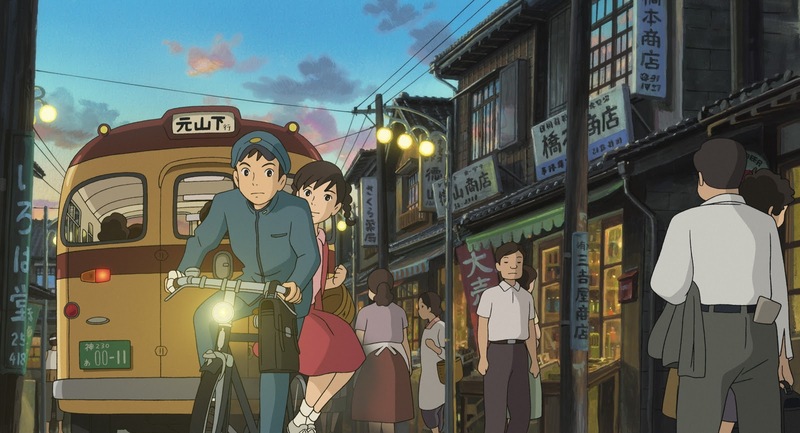 While it may not reach the same sort of visual spectacle of the studio’s more fantastic and popular films – Spirited Away, My Neighbor Totoro, and Nausicaä of the Valley of the Wind among the studio’s most notable – From Up on Poppy Hill is no less a visual masterpiece and is one of the more touching, quieter films that have come out of the studio. It may not go on to be their most memorable or most favorited film among the studio’s throngs of fans, but as director Goro Miyazaki’s second film after the disappointing Tales from Earthsea, which actually was more like what you would expect from an anime studio, to criticize this dramatically superior but more intimate film for being something that it never aspired to be in the first place feels like doing the film a disservice. Set in 1963, the film follows Umi Matsuzaki, a teenage girl who has taken on lots of adult responsibility for her family and the people who live with them in a boarding house in Yokohama. Her mother is a scientist doing research in America, and her father was a crewmember aboard a supplies ship that was sunk by a mine during the Korean War when she and her siblings were very young. 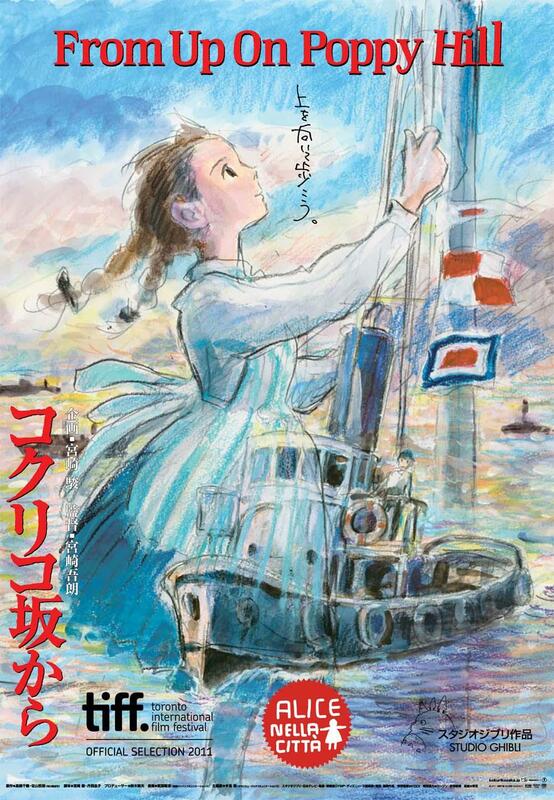 Umi graciously tends to her chores, cooks dinner, and runs errands all while keeping up with her schoolwork, and she still raises the signal flags her father left behind long ago so that she could signal him back home, but her daily routine is disrupted when she meets a boy at school named Shun. Shun belongs to a group of teenage boys who belong to a long line of self-described scholars and scientists who work in a nearby building called the Quartier Latin – a rundown place, thick with dust and filth and packed with old furniture. Their group is struggling to keep the building from being demolished so that a new building can be erected in its place in preparation for the 1964 Tokyo Olympics. Shun casually invites Umi to join them in their efforts, which not only begins a change in the group’s dynamics (i.e., inviting more and more girls into the boys’ club house) but also kindles those special feelings that tend to form between a boy and girl when they grow closer and closer together. 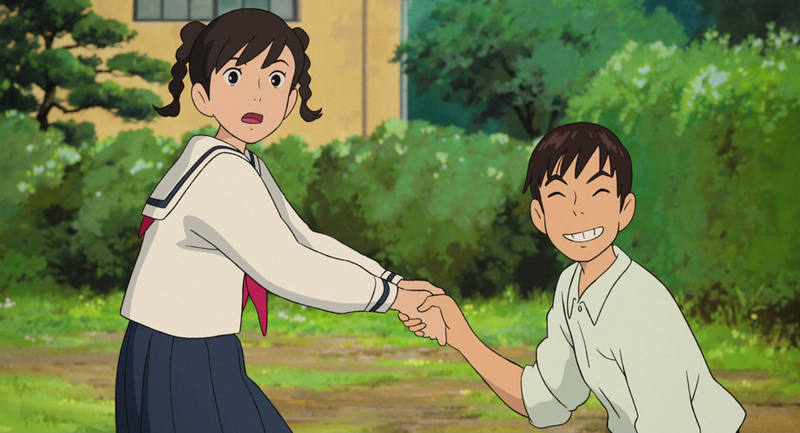 From Up on Poppy Hill, like many coming-of-age stories, isn’t just about saving the clubhouse, however, and instead uses it as a catalyst for the audience to be introduced to more intimate details regarding the characters’ pasts as they begin to share with one another. Much of it is possibly a bit too subtle, but this does at least help the film maintain its refreshingly quiet tone, overall, and revelations about the characters’ parents, their pasts, and how this has affected their children lends the story some greater depth. It’s a story that many would expect more from a live action film than an animated one, but Studio Ghibli’s attention to detail regarding character personalities, small visual touches, and the gorgeous period backgrounds that mesh so well with the purposely understated character designs remains a highlight of the film, even if there aren’t any transforming beasts or walking castles on screen – the Quartier Latin itself may not be a place that you have been to yourself, but it is something from reality that one would certainly recognize as being a place that you would either be drawn to or repulsed by as a teenage boy or girl, depending on your tastes for decrepit, dank buildings. Characters, too, are recognizably realistic, and while they may not be flying around on gliders on their journey, Umi and Shun are no less likable for it. I admit that I went into this movie with lowered expectations, given what I had heard from Roger Ebert and others who were “expecting more” from Studio Ghibli, and while I admit that the film ends rather abruptly when it felt like more of a denouement was needed, I can honestly say that I’m more than happy to have had those expectations broken when it turned out to be a charming, touching, and intimate film – perhaps it is a bit like a cheap melodrama, as Shun once describes one of the central conflicts, but apart from that abrupt ending, I found very little to dislike about this tiny, intimate film. 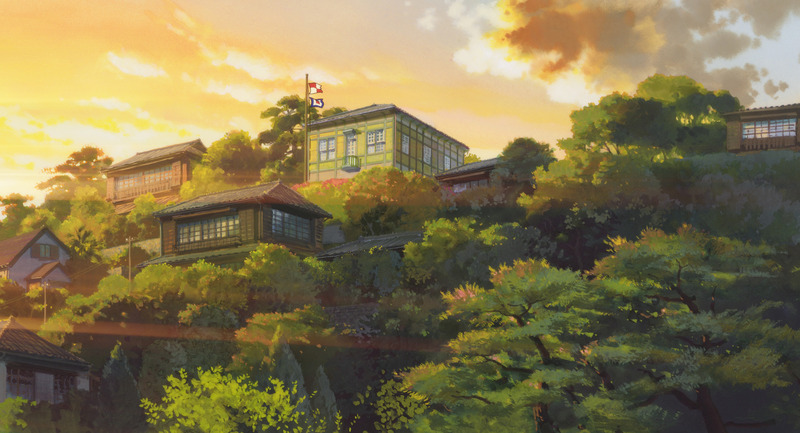 With the studio’s premier director Hayao Miyazaki soon retiring after releasing The Wind Rises earlier this year in Japan, it’s certainly nice that we have other recent releases like From Up on Poppy Hill and The Secret World of Arrietty to remind us that the Studio Ghibli will very likely continue to release some of the most exquisite animated films you will ever see.